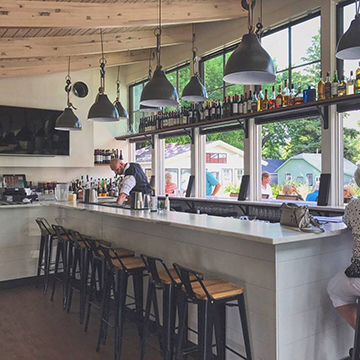 Barringers Restaurant is owned and operated by JR Schoenfeld, owner of Chives Door County in Baileys Harbor, Rye in Appleton and Chives in Suamico. 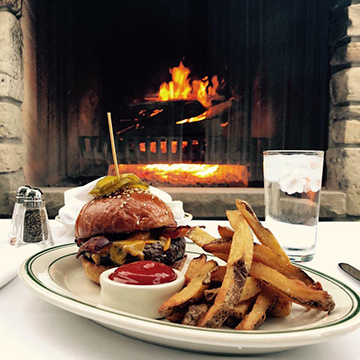 Barringers integrates our signature style with a Wisconsin Supper club and steakhouse experience. 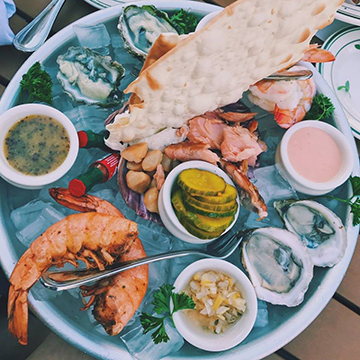 Our menu showcases specially selected steaks, fresh seafood and generous sides. Weekly blackboard specials highlight our daily features. 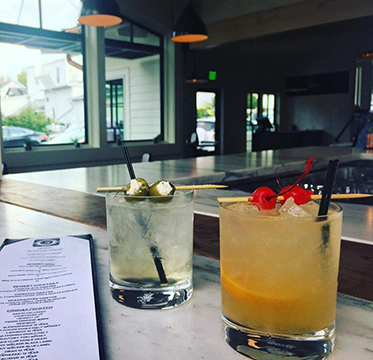 The historic dining room and indoor/outdoor bar provide the true Barringers experience with locally sourced ingredients and craft cocktails and wine selection by our in house Certified Sommelier. It was in 1910 that Mr. & Mrs. Jacob Barringer, then owners of the Barringer Hotel engaged architect Charles Gabert of Chicago to design a retail summer ice cream shop for their daughters, Cora and Meta. The Barringer sisters had most recently suffered the loss of immediate family members in the tragic sinking of The Hackley. The shop was constructed on the north half of the hotel property and named The Maple Tree Cafe. It was constructed of pine lumber purchased from the Wells Lumber Co. of Menominee, Michigan and brought across the ice to Fish Creek in the deep of winter, 1910. The Maple Tree Cafe served vacationers who came to Fish Creek mainly by boat, and particularly those travelers of the Goodrich Steamship Line whose Georgia, Alabama, and especially the Carolina, made Fish Creek a regular port o’ call. The menu consisted specifically of ice cream and desserts. The loft, or second story, considerably smaller than the first floor, was used for private bridge parties for guests of the Thorp Hotel and Welcker Resort. The Barringers operated the Maple Tree until 1940 when it was purchased by Roy E, Kinsey, a Fish Creek native. During the Barringer years, it was undoubtedly the most unique structure on the Door Peninsula. The Kinsey’s renamed it The Summertime and besides the ice cream shop, enlarged it to a gift and coffee shop. After 37 years of operation by the Kinsey’s, it was sold. 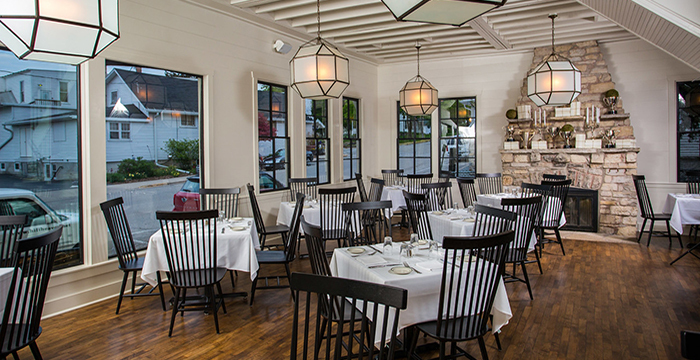 In 1986, Terry Bolland, along with daughter, Heather and son, David, purchased the Summertime and ran it as a fine dining establishment. In 2016, Dan Doerr of Fish Creek purchased the property and remodeled the building.